From City Rules and Venue Stipulations, it's important to learn all the ins and outs of working with Animals at Events. 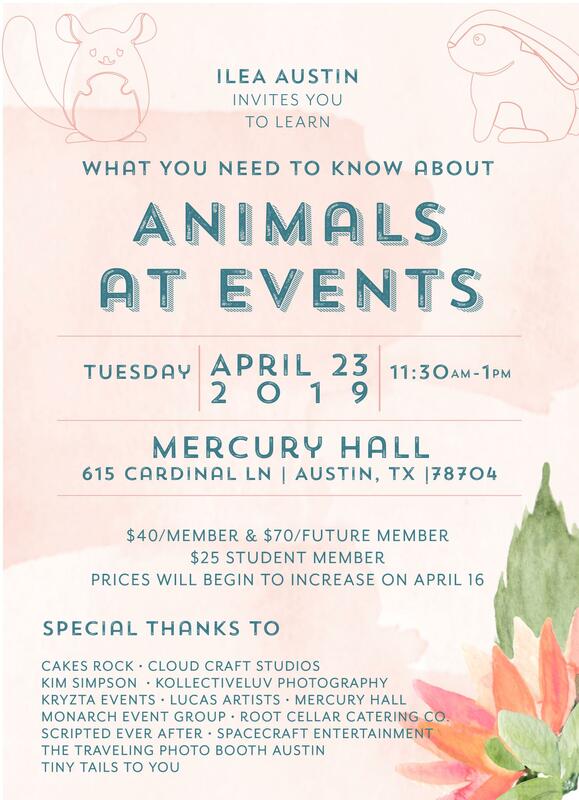 Join us for a panel featuring Wilkinson Rhodes, Tiny Tails to You and The Sparks Agency as we dive into the world of Animals! And make sure to have time to stop by the petting zoo!